Given all the snack foods we had been feasting on throughout the day (including the sherbet pink Moscato gelato from Innocent Bystander as a ‘morning tea dessert’) the three of us opted for a lighter lunch, sharing a Cheese Tasting Plate ($25) and a Pork and Pistachio Terrine ($11.50). The Cheese Tasting Plate includes 4 varieties of cheese – 2 cows milk and 2 goats milk – as well as your choice of beetroot and orange relish, quince paste or sweet onion jam on the side. Because I think beetroot makes everything taste better, I could not resist a little dish of beetroot and orange relish. The relish was sweet, with the spicy and fragrant notes of orange, cinnamon and mustard bursting through. Marinated Persian Feta (cows milk). 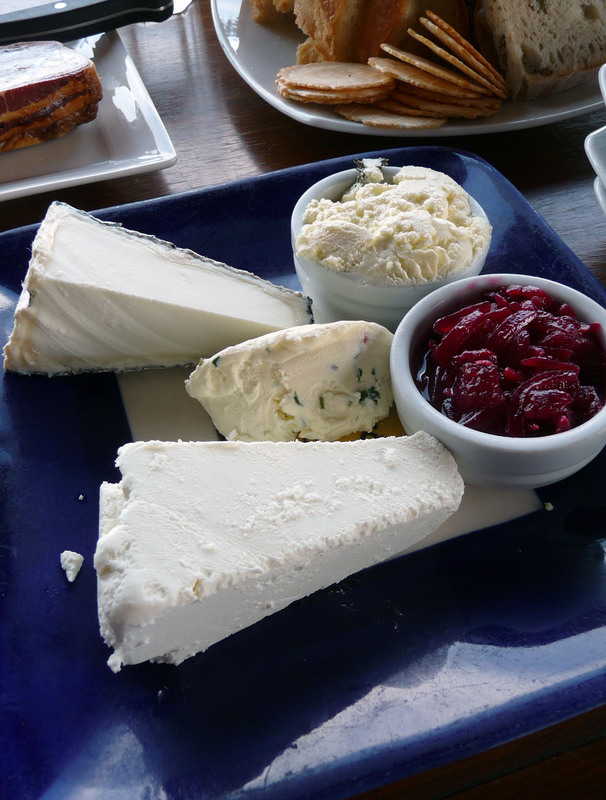 A sharp tangy, feta infused in extra virgin olive oil, thyme, garlic and bay leaves. The House Cow. A lovely soft curd, with fresh garlic and chives. Very fresh and flavoursome. Fresh Goats Pyramid. This cheese has a very distinctive, sharp and tangy flavour, followed (somewhat surprisingly) with a very smooth and creamy finish on the mouth. Black Savourine, a semi mature goats cheese, with a velvety smooth texture and nutty flavour. 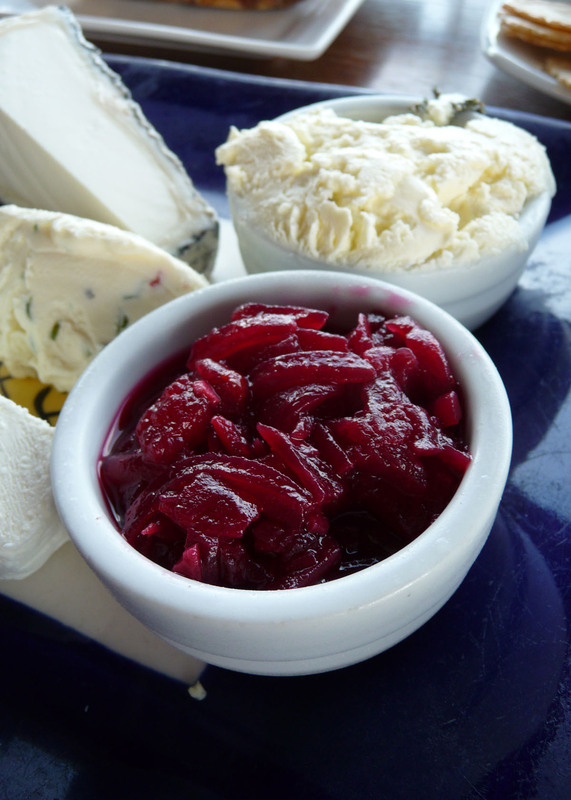 The Black Savourine is also in the shape of a pyramid – which is the traditional goats cheese shape. Interestingly, the surface of the cheese is covered in ash and is then placed in the maturing room, allowing white mould to grow on the surface. (I promise you though, it is far more delicious than it sounds!). 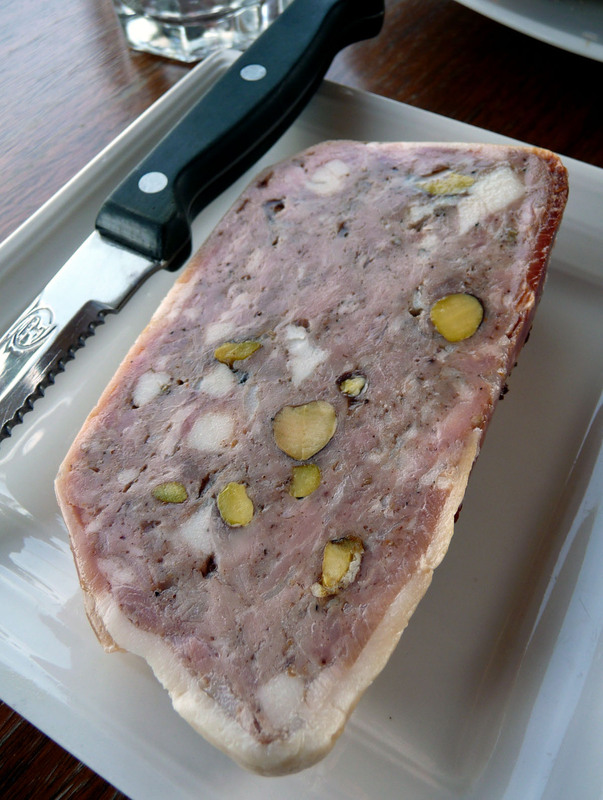 As soon as I saw the Pork and Pistachio Terrine peering at me from the display cabinet, I just had to have it. It ticked all of the right boxes – coarsely chopped meat (including flecks of fat for flavour), covered in prosciutto for extra flavour and a generous distribution of bright green pistachio nuts for texture. 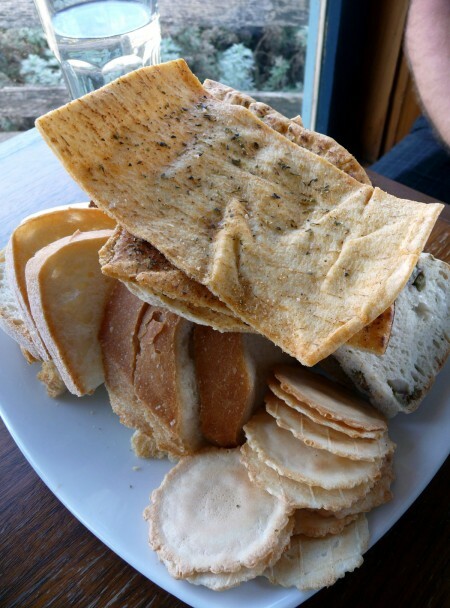 The Cheese Tasting Plate was accompanied by a towering mountain of bread and crackers on the side, which included some lovely dense sourdough, nutty grain bread, water crackers and crisp herb and garlic infused baked pita crips. There was more than enough bread available for all of the cheeses and the terrine. 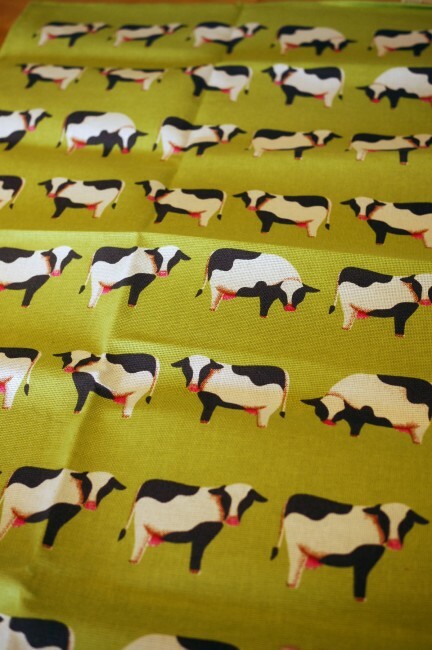 In addition to cheese, the YDV also sell some fantastic homewares – including ye olde style jugs and measuring cups, cheese boards and lots of quirky illustrated tea towels. Let’s just say all of the homewares are very hard to resist and The Brooding Architect was very happy (relieved) that I only walked out of there with only this tea towel! TDID: Triumphant return? I thought that sunny and sparkly Sydney has stolen your heart?